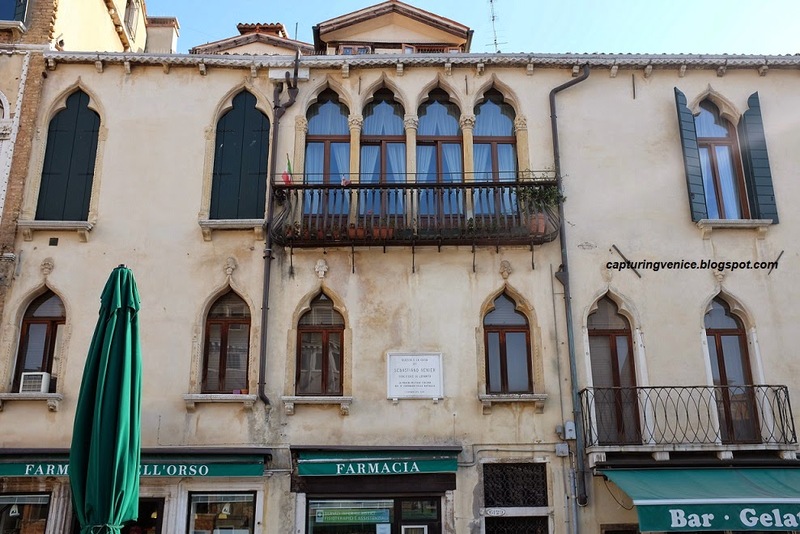 This unassuming facade is that of Palazzetto Venier (dated circa 1450-70) in Campo Santa Maria Formosa. Is my memory correct - I feel like Farmacia dell'Orso on the ground level has been there for almost twenty years? 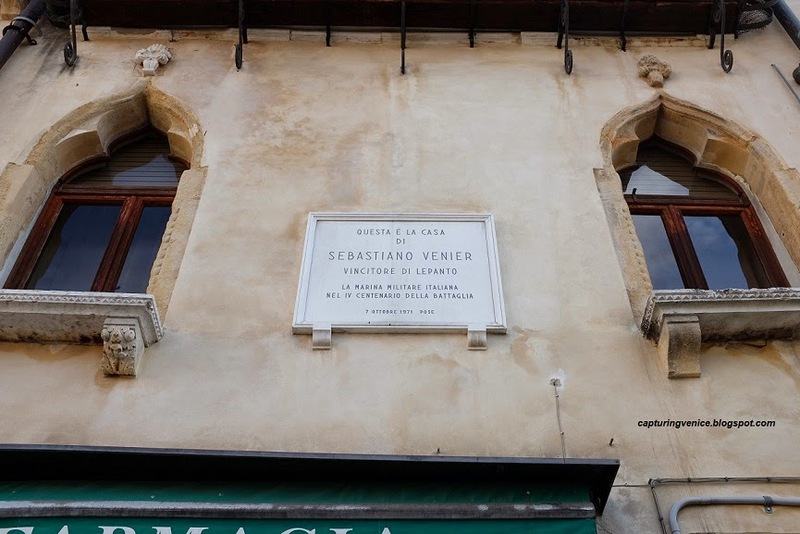 On the facade is memorial plaque to Sebastiano Venier, the commander of the Venetian fleet at the Battle of Lepanto. This famous battle took place on 7 October 1571 in the Gulf of Corinth, off the coast of Greece. It was a battle between the combined Christian forces of the Republic of Venice (who provided 109 galleys and 5,000 soldiers), the Spanish Empire (who largely funded the battle and provided 56 galleys), the Republic of Genoa (with 27 galleys), the Pope (with seven galleys) and the Order of St Stephen, Duchy of Savoy and Knights of Malta (each of whom provided three galleys). The Christians set off for the battle from Messina in Sicily, and the Turks from Lepanto. After seven hours of fighting, the Christians prevailed. The Christian forces were fighting for the security of maritime trade in the Mediterranean and the security of Christianity in continental Europe against the Ottoman Empire. Sebastiano Venier returned victorious and was later appointed Doge of Venice from June 1577 - March 1578.